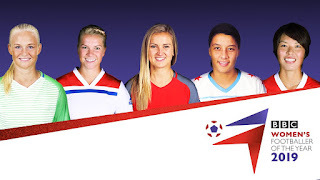 You may remember not too long ago I did a post all about the women's footballers to watch in 2019, well today's post is all about those players that I personally believe are underrated and are given nowhere near the credit they deserve, you will see this is titled as part 1 and that is because I had quite the list of players who aren't credited as much as they should be (keep an eye out for part 2 soon). There are a lot of players out there who are over looked on an international level and don't get the call ups and game time they deserve, there are also players who play week in week out for their clubs giving 100% and fantastic performances but go unnoticed due to either no being a big enough name or just from slipping under most fans radar. So here are the players who I believe are totally underrated. I may be a Man City women fan but I have been following along with the journey of the Man Utd squad as it has been interesting to see how they progress in the league as a newly formed side. One player who has definitely stood out to me is Lauren James. At just 17 years old she is brilliant in front of goal and is proving a key player in United's race for the title. 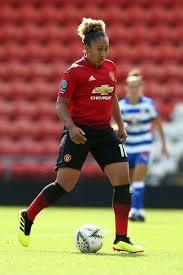 Lauren went to United from Arsenal and is the younger sister of Chelsea player Reece James. With Lauren being so young it is scary to think of what a player she will become as she gains more minutes and experience. I can see her becoming a big name player over time as she grows as a player. 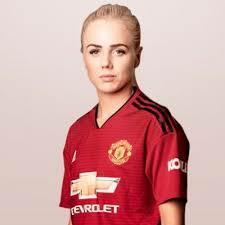 Alex Greenwood is one of those players who is fantastic but usually tends to slip under the radar. She left Liverpool last season to join Casey Stoney's Man Utd where she became captain, I think this move has done her the world of good. She has been showing what a great leader she is and just how good of a player she is. Even though she dropped down a league I believe it has benefited her and she is now getting the playing time for England she deserves. I honestly thought when she dropped down a league she would end up with less playing time for England but she seems to have really left an impression on Phil Neville. I know I am a Man City fan but I honestly prefer Greenwood in the England left back position over Demi Stokes. Ah Jane Campbell a young player with a whole loft of potential. Some of the saves that Jane pulls off for the Houston Dash are unreal. 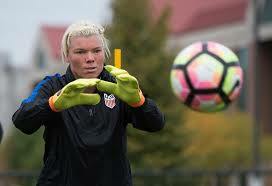 With Hope Solo no longer in goal for the USWNT I really thought Jill would have realised the importance of having a good rotation of keepers, but clearly she hasn't got that idea yet. Naeher is the usual number one and other keepers struggle for game time, when Naeher doesn't play it is usually Harris who steps in but honestly I believe give Jane the chance and she will show what she really can do. I hope Campbell gets called up for the World Cup roster but as wasn't even named on the main She Believes Cup roster which I really don't understand Jill's reasoning, I honestly don't see it happening. But Campbell is definitely one to watch throughout the NWSL as she will be key to how Houston's season plays out, plus at only 24 there is plenty of time for her to develop as a player and get those call ups she deserves. I was so excited when I saw that Janine Beckie had signed for Man City, the Canadian international is one of the players who had really impressed me in the NWSL. Sky Blue seem to have been struggling to keep players lately (a whole different issue for another day) and it has seen a couple come over to Europe to work on their game. Beckie said that Carli Lloyd helped point her in City's direction so thank you Carli. Janine is a game changer when she comes off the bench and I just hope she gets more starts in future games as she brings a different energy to them with her vision and dedication. She is also another young player at just 24 so she has plenty more years to become a bigger name in the game and has plenty of chances to win silver wear whether that is at club or international level, she has already won the Continental cup with City, providing the winning penalty kick. So there you have it, those are my first set of underrated players. I think this will definitely be a little series on the blog so if you have any suggestions of players you think are underrated and should be including in this (I want a few parts to be other fans opinions) leave a comment below or drop me a tweet/message over on Twitter.